During market days in our city ( o-ha?) people from the barrios and other nearby town will come down and sell their produces in our wet markets. Produces ranges from vegetables, fruits, freshwater fishes and clams, and some poultries and are sold cheap as compared to those sold in the urban areas. 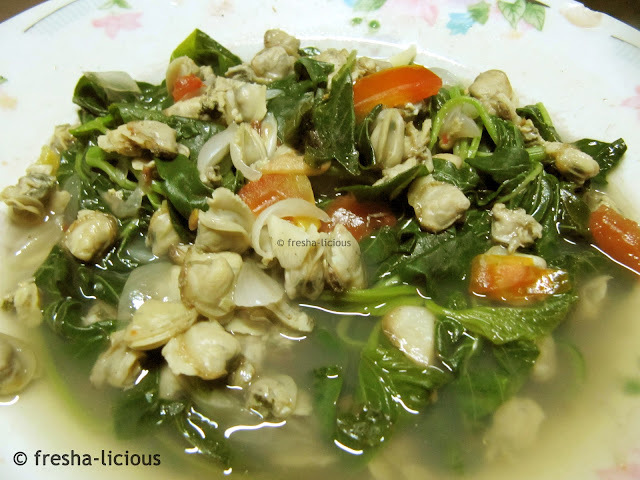 Like, a takal (equivalent to a full can of condensed milk) of freshwater clams are sold may be at P10 or even less than that (less than $0.50) only. 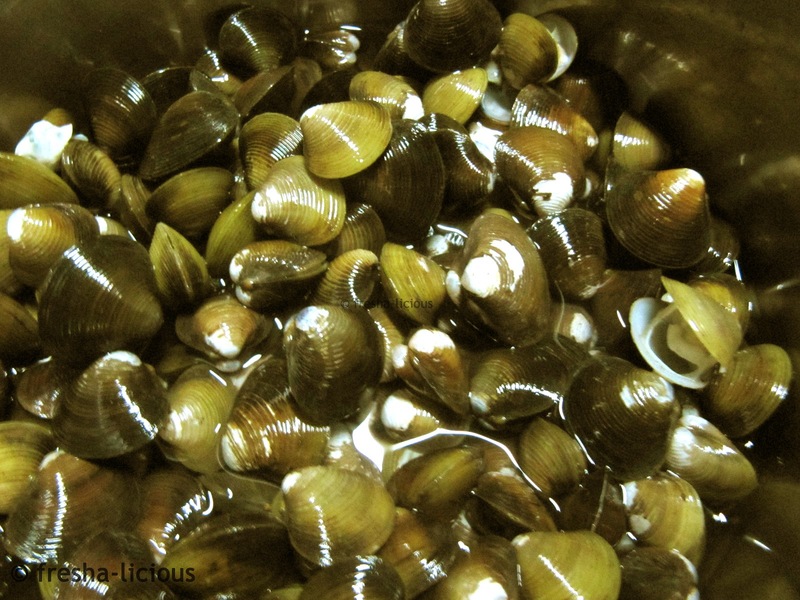 Freshwater clams or freshwater bivalve shells are called bennek in Ilocano. It is usually harvested in riverbanks. I'm proud to say that most of the rivers in our province of Kalinga are not polluted so it’s very safe to eat shells and fishes coming from these bodies of water. Don't ask me however, as to how these shells are harvested as I don't know. I just buy them from market mongers and my parents will cook them. My parents also cook bennek as soup seasoned with buggoong (fermented salted fish), patis (fish sauce), or just plain salt. Garlic, onions, and gingers are the usual spices used to add flavor and to take out any slimy taste. 1. Boil the shells in water. Drain and remove the meat from the shells.